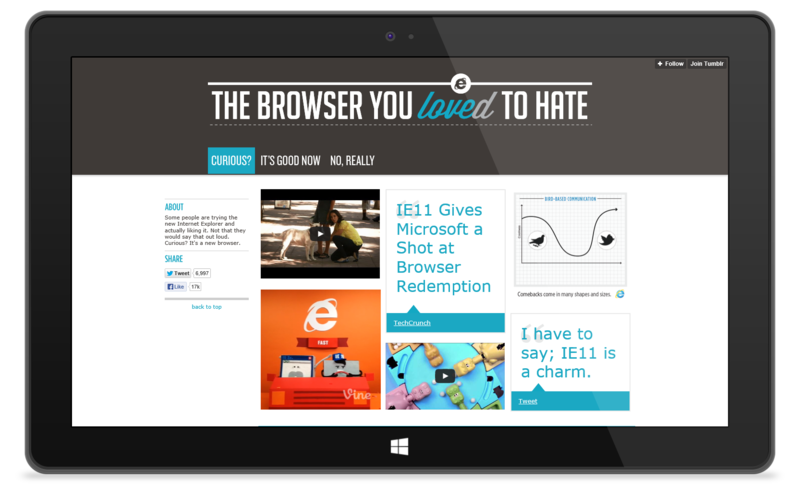 We concepted a comprehensive social campaign for Internet Explorer, including shareable graphics and a Tumblr site to house all content for the campaign. 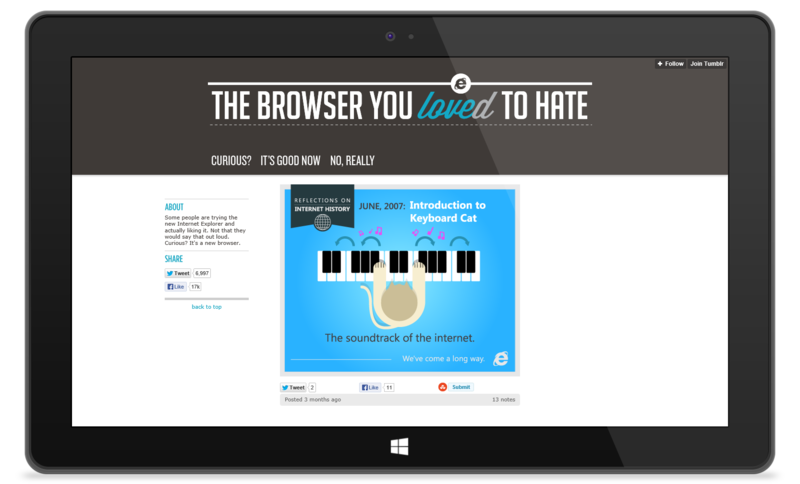 The aim was to use self-deprecating humor to start a new social conversation with potential IE users who are skeptical of the browser’s reputation and attract potential users to the Tumblr site to see more content, explore new features, and download the browser. We designed the Tumblr site and supporting collateral to serve this purpose, with great success. 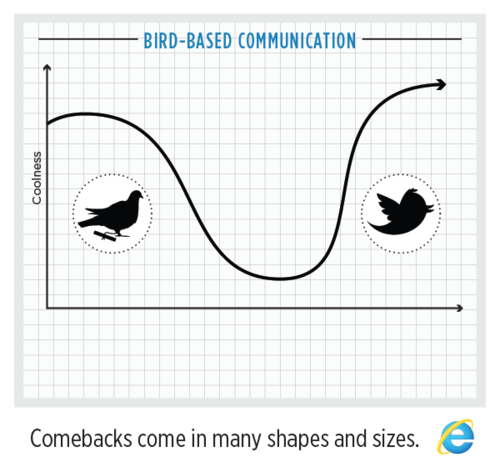 In total, the Internet Explorer campaign garnered more than 2.4 million site visitors, 700,000+ social shares, more than 45,000 downloads, and the highest market share in more than a year (increased from 51.8% to 55.14%).